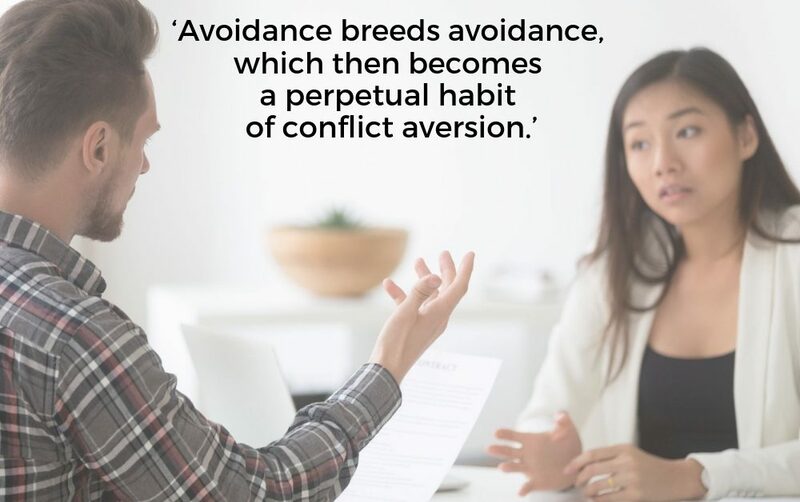 The fear of consequences has led many employees to fail in managing conflicts healthily and productively. Rahmat, a manager in a Malaysian multi-national IT company, was terrified of telling the boss that the technical support team had not performed up to the mark. They had failed to diagnose and solve a system flaw for their client. Of course, in the end, he did. Another reason why people adopt the ‘smiling tiger’ approach in conflicts is the lack of competence in conflict management. We are inclined to avoid conflict also because most of us have a habit of taking criticism too personally. It has often been said, “Don’t take things personally,” when our work is being criticized. Honestly, it is tough not to take criticisms personally. 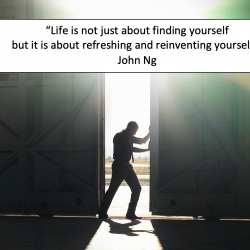 The truth is, work is so much part of our lives, and our identity is so wrapped up in our work. Yoko, a newly hired, very bright Japanese research assistant in a pharmaceutical company, made a terrible mistake in her report. Her Caucasian manager was so distraught that he took her to task. “Your research report is so sloppy!” he said. She submitted her resignation the next day. The manager lamented that Asians could not take criticism well, unlike his American colleagues who were more adept at handling criticism. He could not understand why Yoko could not separate her work from her person. Yoko’s way of dealing with conflict was to resign. Besides losing ‘face’, she also felt demeaned. For many of us, it is very difficult to separate work from our self-identity because we spend much of our waking hours at work. Our self-worth is so wrapped up in our work that when people criticize what we do, we feel that our self-image has been impinged. 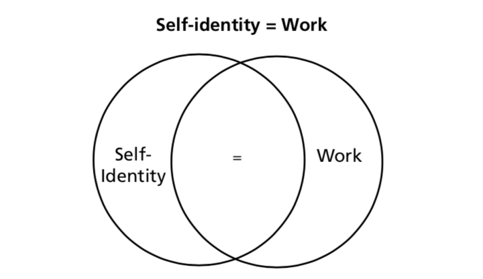 Take a look at this Venn diagram, which illustrates how our self- identity can be merged with our work. Without judging whether it is right or wrong, one can understand why Yoko reacted the way she did. Yoko’s reaction is common among Asian children as well. Thiru, a very bright pre-university (Grade 11) student from a prestigious school in India, committed suicide when she discovered that she had obtained a ‘B’ in her Physics exam. She had consistently scored ‘A’s in all her subjects. A ‘B’ marred her self-identity. Unable to face her parents, teachers, friends, and herself, she took her own life. Frustration of bosses because real issues are never confronted. Promotion of incompetence in the organization. Demoralization of high performers as mediocrity is tacitly encouraged. Infection of the whole organization with negativity, cliques and cynicism. Deterioration of organization as staff gets into ‘turfism’ and ‘selfism’. In outlining these factors, I hope to have provided a better insight into why so many of have adopted the ‘smiling tiger, hidden dragon’ approach. I believe there is a better way of managing conflicts. Having worked with many organizations and families in Asia, I have seen role models of parents and bosses who have managed conflict healthily and appropriately.